Shared Living is a unique residential model that can be more creative than any other residential model. While the description can be compared to that of a Foster Family, it is so much more than that. A Shared Living provider can be a family, a single individual, a couple, a friend, a peer, a family member, or even a parent. Shared Living encompasses the idea of involving an individual in the life and/or lives of the Shared Living provider in order to provide an individual with a well- rounded, whole life program void of a rotating schedule in which the primary person providing support for an individual doesn't change. A Shared Living provider is responsible for providing the support needs required on a daily basis, including but not limited to daily meals, transportation, medical appointments, and leisure activities. The support needs of every individual varies just as their personalities do, so finding the right match between a Shared Living provider and individual is a crucial initial task. This is why the Shared Living provider is not defined by a single element, and likewise a home is not either. Some individuals are seeking a home with no children, some desire a family, some want pets or to live on a farm, while others want to live in the city. Shared Living is open to individuals looking for someone to provide the residential care he/she wants and needs and it's open to people looking to provide that care. A Shared Living provider's main job is to provide the necessary support as determined by an individual's assessed needs. The individual's care is the primary focus and priority. There are requirements by MaineCare, as the funding source of this residential model, and those requirements are standard throughout all agencies authorized to provide Shared Living as a residential option. Where Citizens of Maine differs from other agencies, is in size, consideration of placement, and pay. We do not have hundreds of Shared Living homes, which presents superior focus and attention to achieving success in a home. Size also factors into the consideration of the placement of an individual in a Shared Living home. We want to ensure the success of a home, for all involved, and doing so requires open communication with an honest approach. We don't have hundreds of homes that would allow haphazard placements to occur resulting in multiple moves. Each placement is done with the utmost care and attention. 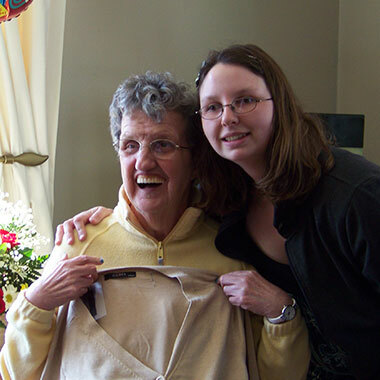 Payment for Shared Living providers is offered with the choice of one of two stipends, depending on a Shared Living provider's preference on respite. We are happy to discuss the stipend offers with potential providers. Shared Living is more appropriate for an individual requiring less intensive support, although many families caring for an adult child with more intense challenges, choose this model and find it to be the best way to provide that support and maintain financial stability. Shared Living providers are subcontractors, not employees of Citizens of Maine, but the expectation of high quality care is maintained throughout and monitored on a regular basis. 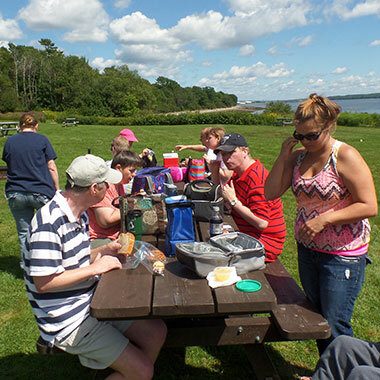 Shared Living is a residential program offered to individuals receiving MaineCare through the Section 21 waiver program.